Recently I been going to the Eastern shore for work a bit this Summer in Virginia. There is a small town called Parksley in Accomack County not to far from the known Assateague Island National Seashore which has the wild ponies. At this town there is a little railroad museum that has a few interesting cars including a Seaboard Lounge Car that is steel clad and super shinny. Looked great for a black and white shot. 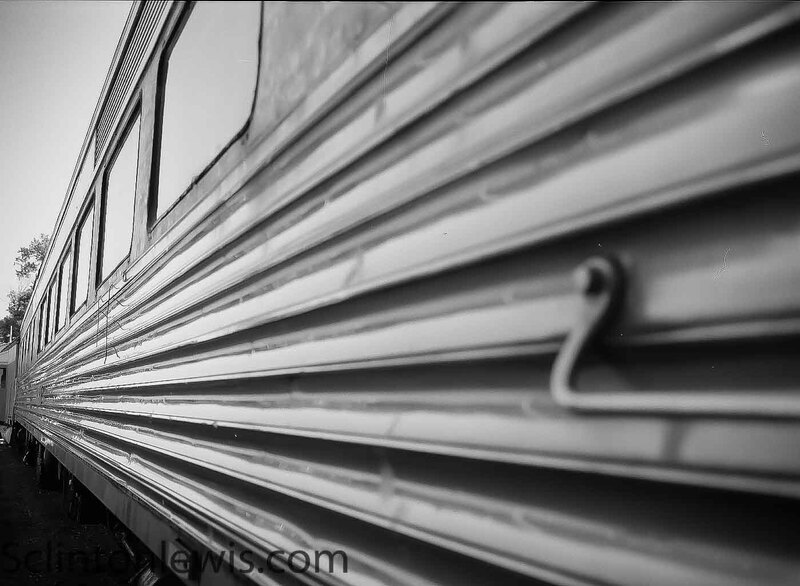 This entry was posted in film, fujifilm, monochrome and tagged film, fuji, fujifilm, monochrome. Bookmark the permalink.